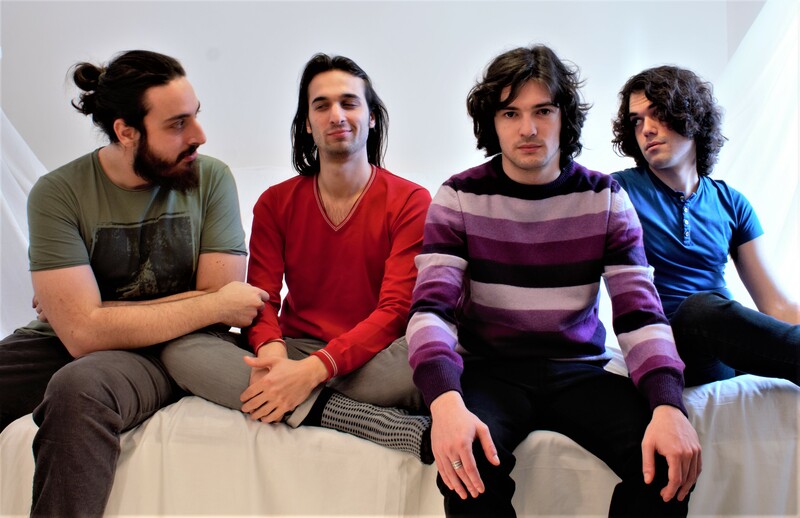 The project was started in 2012, with Luigi (bass) Costantino (guitar) Emanuele (drums) and Ezio (vocals and guitar) with various influences (Pink Floyd, Smashing Pumpkins, Jeff Buckley, Sonic Youth amongst others) able to mix a varied but coherent production. Earthset translate into music a continuous state of alteration, evolution and dynamism through a nonlinear structural composition, sharp and acidic sounds, transitions between heavy distortions and limpid clean sounds, generally cold psychedelic atmospheres disturbed by noise inserts. After their debut album “In a State of Altered Unconsciousness”, released on oct. 26th 2015, they published a new EP, “POPISM”. The title of the EP comes from the search for pop atmospheres and was recently used to describe that trend in music critique which recognises artistic dignity to Pop music. The tracks, in their order, represent a path towards increasingly Pop atmospheres. The EP has been produced by Carlo Marrone and Earthset and recorded with the cooperation of Michele Postpischl (Ofeliadorme). Mastered by Enrico Capalbo at Fonoprint studios, POPISM has been released on Mar. 17th 2017 via Chains/Costello’s.